If everyone agrees that audio networking is a good thing, why is fuller implementation of the technology taking so long? Kevin Hilton finds out. The key to success for a technology is to promote it as not only what the industry has been waiting for, but also where everyone should be going anyway. That is certainly the case with networking. The ploy has worked in computing and is now reaching its ultimate implementation in the Cloud. 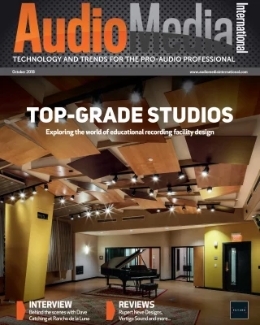 The professional audio sector has been talking about networks off and on for around 20 years and now, with digital, IP and off-the-shelf IT components, it looks as though its time has come at last. 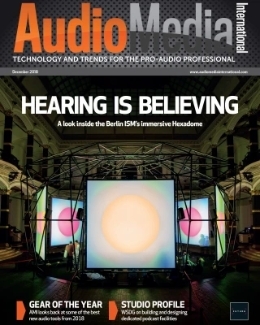 The means are certainly available and the general issue of interconnectivity in broadcasting, live sound and installation has been debated widely over the past few years. There is the realisation that people need to move on from not just analogue but also MADI. While MADI has had a resurgence it does not have the capacity for the several hundred channels of audio that will be required for large-scale events and outside broadcasts, ever bigger commercial installations and the prospect of Ultra High Definition (UHD) video and ‘3D sound’ for television. Ethernet-based distribution and connectivity, as offered by AVB (Audio Video Bridge) and Audinate’s Dante, is regarded as a way to work over long distances or throughout large buildings at a lower cost of installation and operation because cheaper IT components – including Cat5 and Cat6 cabling – can be used to carry the data. Audio over IP (AoIP) is being promoted as the ideal carrier to run over these connections, offering high bandwidth, multiple channels and additional capacity for metadata and control. Dante is accommodating this but has a major rival in Ravenna, developed by Lawo affiliate ALC NetworX. 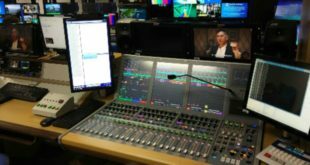 With the technology in place the expectation would be that broadcasters, systems integrators, venue operators, facilities and rental companies would be adopting it en masse. The reality however, as is so often the case, is somewhat different. There has been some level of implementation, but not on a massive scale or with enough momentum to trigger a wholesale migration. Unhelpfully there are as many possible reasons for this as there are networking formats. Hemming lists the advantages of networking as being: multiple channels over a single cable; simple accessibility for audio on and off a network; far cheaper cabling and installation costs; less interference; system flexibility; long distance transport using standard fibre-optic technology and ease of use in many situations. “Fibre also offers truly electrically isolated systems, eliminating issues caused by multiple sources of power on a large site,” he adds. The problem can be, Hemming observes, that “people are used to doing things the same old way so many don’t feel the need to change their methods”. 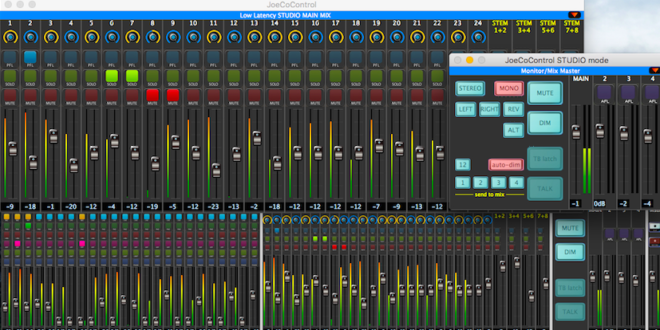 Above: The largest ever full Ravenna implementation for a live event occurred at the 40th anniversary concert of the Orchestre Nationale de Lille (ONL) in July. Merging Technologies produces the Pyramix range of digital audio workstations, which are used in music recording and post-production. 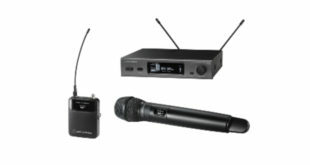 These can be networked through either of the company’s audio interfaces, Hapi or Horus, both of which feature Ravenna and the AES67 interoperability standard. Through AES67 it is possible to connect Merging systems to equipment using other formats, including Dante. Hollebone comments that people would “have to be crazy” not to see the benefits of networking and while he says it will “definitely happen in a big way soon”, many are resisting because they don’t want to be the first to try it out. Ethernet, replacing analogue XLR cables with Cat5. Dante and Ravenna are newcomers to a technology area that has promised much for nearly 20 years. 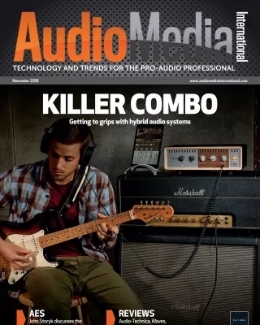 Earlier attempts to standardise and simplify networking were CobraNet – originally developed by Peak Audio in 1996 before being bought by Cirrus Logic – and Livewire, introduced by the Telos Alliance in 2003 primarily for its Axia brand of IP-based consoles. Both carry audio over Ethernet and established themselves in specific installations based on either their manufacturers’ equipment or that of other companies licensing the technology, as in the case of QSC with CobraNet. Above: The recently-released Dante Via is designed to allow a range of applications and devices to be networked and interconnected easily. For Sacks the question people should be asking about networking is not whether they should adopt it but what kind of reliability and assurance it, in whatever form, will bring to their installation. 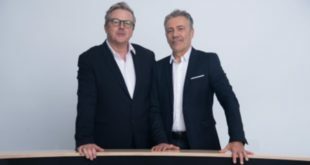 He adds that by incorporating AES67 into Livewire+, and into other technologies, it is now “hard to isolate customers” regardless of their choice of technology. Speaking at last year’s Audio Networking Forum, Patrick Warrington, technical director of Calrec, observed that a possibility for the future was “hybrid networks”, citing the example of his company’s consoles connected to the Hydra2 network router, which would in turn connect to any chosen AoIP system through the portal provided by AES67. Burnard says there is definite uptake, with frequent enquires for venues, stadiums, universities and large theatres. 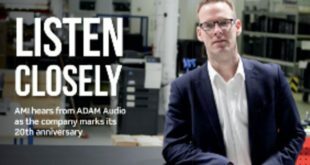 As well as AVB and Dante, Sound Technology is also dealing with CobraNet, which Burnard says has an established user base, and Harman’s HiQnet software protocol, which is used for smaller installations. “When you consider the alternative for something like a large office block, digital networking over a single Cat5 cable carrying over 1,000 Dante channels makes more sense than running in lots of discrete tielines,” he comments. The consensus is that people should consider networking for new builds and installs but look at it in terms of what it can do rather than as a complicated piece of technology manifested in various formats and products. Main Picture: The multi-Calrec Apollo installation, featuring a large-scale Hydra2 network, at MBC Sangam in South Korea.